Smith-Root, Inc., the leading researchers in fisheries conservation technology, brought electrofishing and environmental DNA (eDNA) testing technology out in the field in New Zealand. Patrick Cooney, Director of Electrofishing Science at Smith-Root led a training workshop. 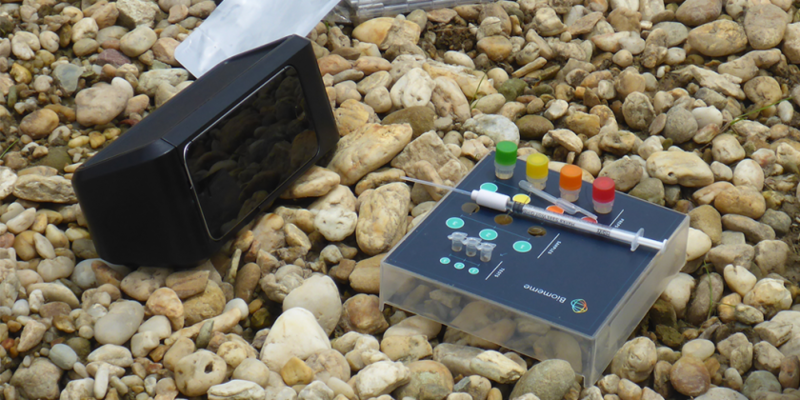 He demonstrated how to use our portable PCR technology and the ANDe Water Sampling Backpack along the Tutaekuri River in Napier, New Zealand. In December, Patrick led a training course teaching local scientists about best practices in fish farming. In addition to electrofishing techniques, he demonstrated how to use the ANDe Water Sampling Backpack and Biomeme’s portable PCR device. Fisheries use electrofishing equipment and eDNA testing to safely sample fish populations in surface waterbodies. These techniques guide fisheries management efforts and scientific research efforts throughout the world. Biomeme aims to bring mobile PCR testing to the fish farming industry to make eDNA research safe and accessible. Researchers can extract eDNA from the environment to understand fish populations and aquaculture targets non-invasively. 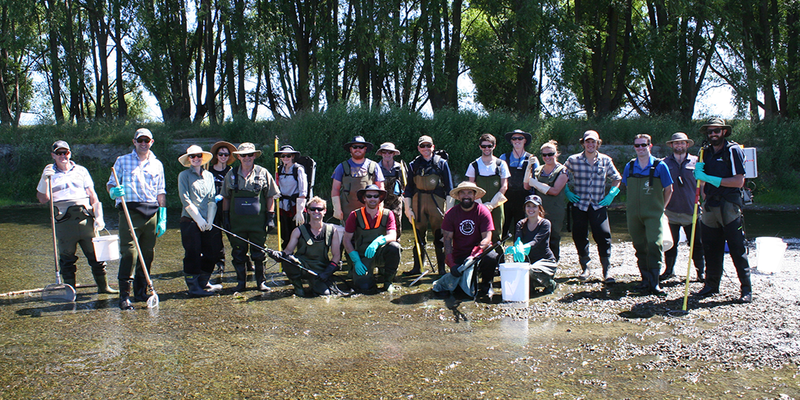 Patrick Cooney led a group of 20 researchers for an electrofishing and eDNA workshop. These scientists are from Hawkes Bay Regional Council, Waikato Regional Council, Taranaki Fish & Game, Wellington Fish & Game, and the University of Otago. Finally, Smith-Root offers a range of workshops detailing electrofishing theory and practice classes to fisheries personnel. Experts like Patrick lead these workshops all around the world. You can sign up for upcoming courses on Smith-Root’s training page. Patrick shared technologies at this workshop as a part of a larger collaboration between Biomeme and Smith-Root. Together, we are bringing our portable PCR technology to the aquaculture industry. Our end-to-end solution provides accurate test results in a matter of minutes, rather than weeks. Additionally, we are currently developing test kits for a range of aquatic species and aquaculture targets. We are excited to bring our qPCR tests out into the field. If you are interested in testing our new aquaculture field tests, get in touch with us here. Founded in 1964, Smith-Root has long been a respected member of the aquatic resource conservation community. We have supplied fish researchers, managers and hatchery personnel with quality fisheries sampling technologies and products over several decades. With on-site manufacturing facilities, Smith-Root produces a full-line of electrofishing, fish guidance, and electrosedation equipment to aid in fish restoration and recovery operations in various aquatic settings. Find us on Twitter and Facebook.